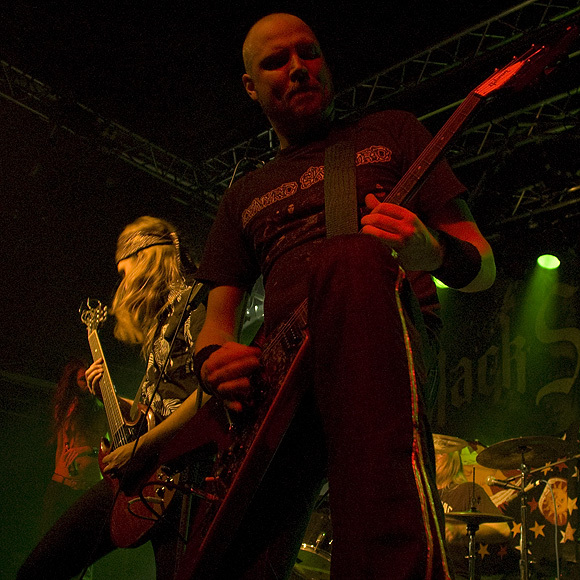 left to right: Jonas Åhlén (vocals), Mats Rydström (bass), Jon Sundberg (guitar), Niklas Matsson (drums), Robert Johansson (guitar). 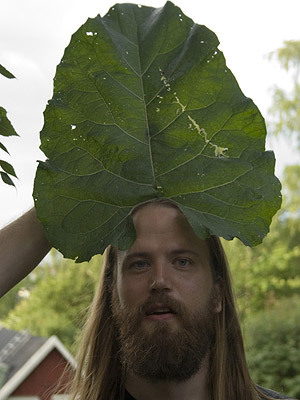 Photo: Hartmut Moewius. 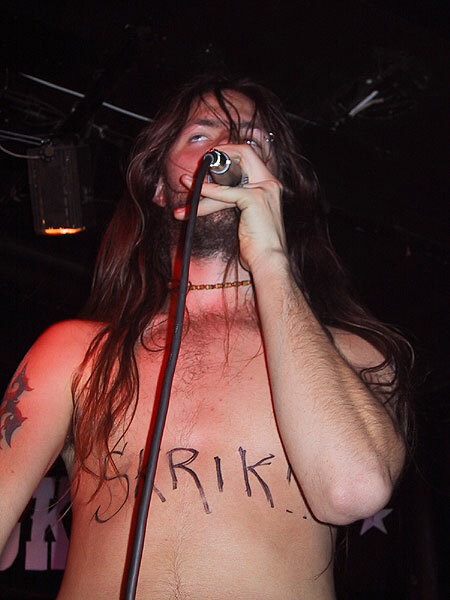 After having made their entrance on the scene with the fairly straight-forward southern metal debut Here To Save You All in the fall of 2001 – lauded by some critics as the best in the field in more than twenty years, and this by a Swedish band! 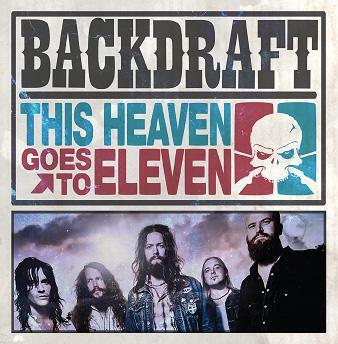 – and then taking a few years off before returning with 2007’s The Second Coming, Backdraft now return with This Heaven Goes To Eleven – their third, most ambitious album to date. The album consists of nine quite diverse songs, from obvious four-on-the-floor rockers like opening track and first single Idiot and the slide driven The King Of Diesel, to swinging tracks like No Love, Stand and Out Of Here. 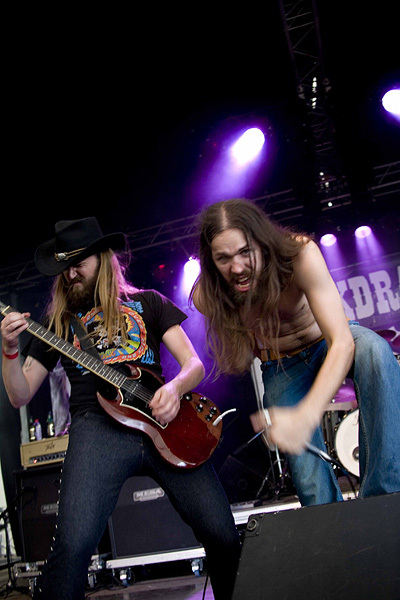 The latter in essence a country song dressed in a hard rock arrangement, featuring drummer Niklas Matsson as co-lead vocalist together with Backdraft frontman and lead singer, Jonas Åhlén a.k.a. Revered Sorethroat. This Heaven Goes To Eleven will be released on GMR Music on the 30th of March 2011, both on CD as well as on a limited 180 gram gatefold vinyl (with a free CD enclosed as well as an exclusive bonus track: a cover of Blue Sky by The Allman Brothers Band). This Heaven Goes To Eleven was recorded – just like its’ predecessor – by the band itself in their own A.R.T. Studios in Stockholm, over the course of 2010 and then mixed by Jo E who also worked on The Second Coming. 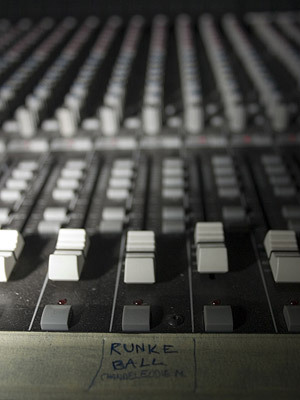 The idea was initially to capture the live feel by doing a quick and dirty record. That idea quickly went out the window, and the result instead became Backdraft’s most layered and experimental album from a recording point of view. 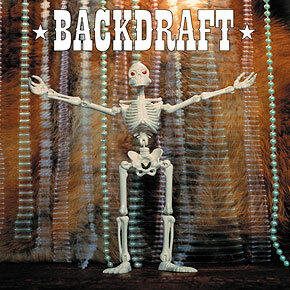 Backdraft’s debut album Here To Save You All was recorded exactly ten years ago, and released on Lunasound Recording/Plastichead in August of 2001. Kerrang! claimed there was ’a geography problem’, but most knowledgeable writers recognized the quality of the band’s know-how in an otherwise predominately American genre. 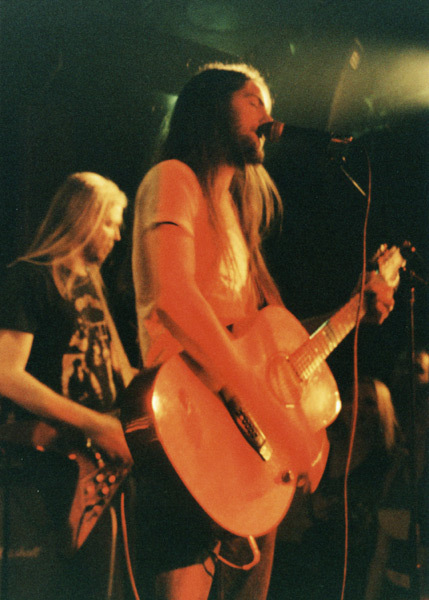 The band followed this by touring in both Sweden and all over Europe, both solo and with bands like Five Horse Johnson and then-labelmates Supersuckers. 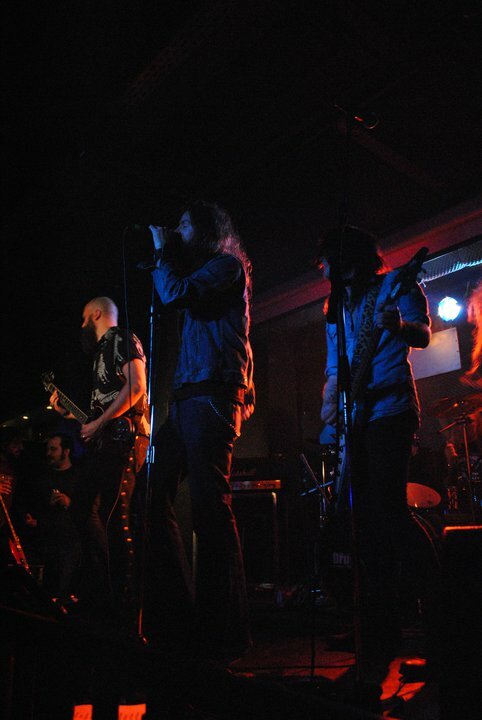 After a few years break, which saw the members joining other bands such as Abramis Brama and Raging Slab, the band reformed and eventually released their long awaited follow-up album The Second Coming in the fall of 2007. 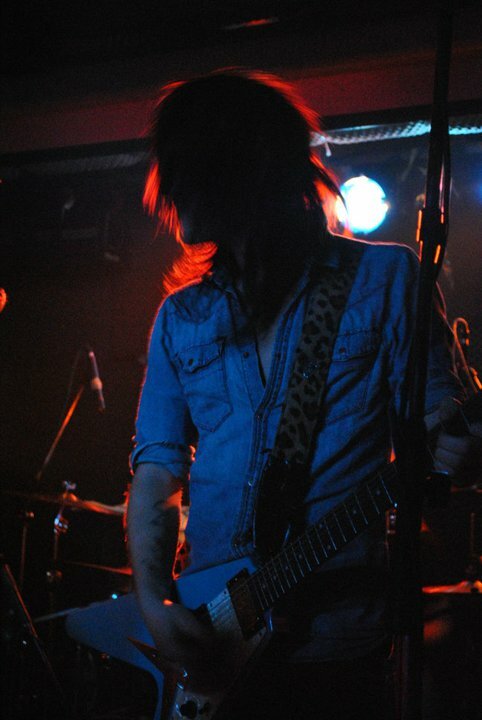 Some more downtime followed when original guitarist David ’Snejken’ Nordlander decided to leave the band at the end of 2008. 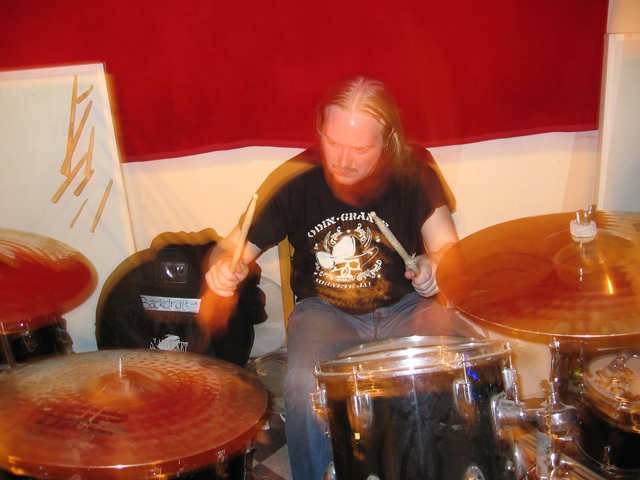 His replacement was found in Jon Sundberg, from fellow Swedish rockers Babylon Bombs, who joined in 2009 and is here featured on his first Backdraft recording, both as a writer and brilliant lead, rhythm and slide guitarist. 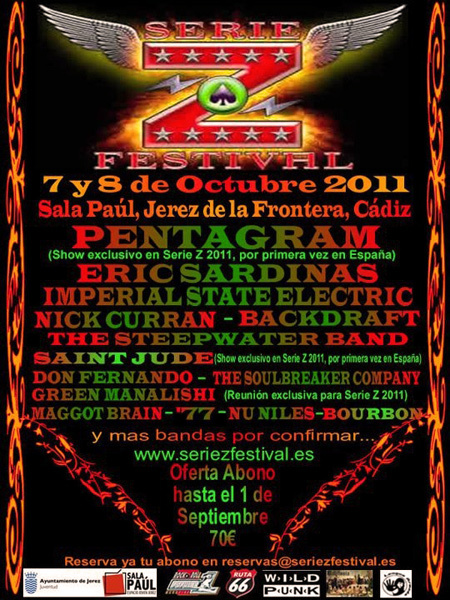 The band soon found itself returning to Spain for some gigs as well as festivals, before starting to write and record This Heaven Goes To Eleven. 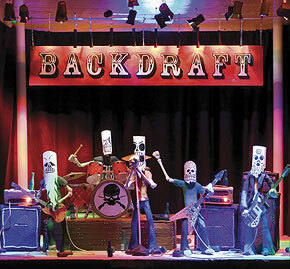 Apart from a few select shows to road-test and fine-tune the new material, Backdraft spent 2010 off the road but look forward to get back on it in 2011.